To Anthony, Charles and the team, a massive thank you for capturing our wedding day with such individualism and personality. From the very first enquiry made, you were so accommodating and helpful that it made the process of booking a videographer (at the last minute) an absolute dream! Back and forth phone calls and emails were met with understanding and a willingness to make it work, and that means so much! Upon receiving and viewing our video footage of the short highlight clip and raw footage, we were blown away. The footage captures the day in such a real way that we can be transported back to that day every time we watch it. Our family and friends have all commented on how outstanding our short highlight clip was, and in short, we cannot recommend Video Boutique highly enough. It truly is such a gift to re-live our wedding day time and time again. So again, from the bottom of our hearts, thank you. We can’t thank you enough for perfectly capturing our special day and being such a pleasure to work with. The results were better than we could have ever hoped for. I will forever tell future brides and grooms to invest in a wedding videographer – it is the best way to relive all of the special moments. The day flies by so to have it on film, so creatively edited, is an incredible keepsake. You not only get to watch your first dance, and hear speeches again you get to see little moments you miss like the guests’ reactions throughout the day. The positive response from our friends and family to the highlight video was so overwhelming, which is a huge compliment to Anthony, Faz and the team. We could not be happier! We cannot thank you enough for your amazing work. You captured our day in a way that allows us to relive every special moment. Allowing us to feel as happy and excited as we did every time we watch it. It’s hard to wipe the smile off our faces! From the first meeting, you were so welcoming, accommodating and made us feel so comfortable in front of the camera. You provided guidance when needed and we’re unobtrusive when we were in our own world. Thank you for choosing some great spots to shoot and putting up with the rain and cold when we decided we wanted to stay out longer running in the rain like little kids. You were amazing to work with. I keep telling my friends who are getting married that they need a videographer as there is no better way to capture the day. On behalf of Tarik and myself, we both would like to thank you for your outstanding final product and service delivery, capturing our special day. 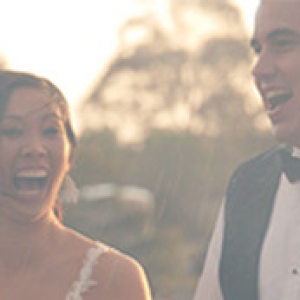 Prior to our wedding and after making enquiries with other Videographers, your services stood out as you were friendly, supportive, communicated effectively and demonstrated confidence in your abilities. From two pre-wedding appointments, you gave us great direction and were flexible with our on-going wedding planning. 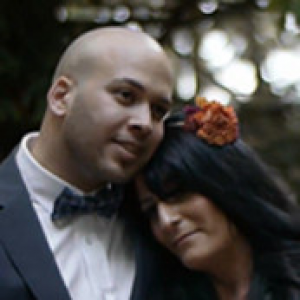 We felt confident that our wedding videography was in good hands. We appreciated you arriving early to the wedding location, which was a substantial distance away at Merricks North Retreat to meet family and gain a better understanding of the wedding location. Throughout the entire day you provided direction, guidance and strong industry knowledge. We enjoyed your friendly energy and you helped us feel relaxed even though we were camera shy! You went above and beyond and captured the little things that were so special to us. This was reflected in the presentation of our short clip, raw edit and wedding film which exceeded our expectations. We would without hesitation highly recommend Video Boutique to other couples and wish you and your team every success with your business. You are an absolute credit to the industry! Below is our feedback, once again thank you so much to you and your team! We heard about Video Boutique from a family member whom had nothing but positive things to say about them. We then got in contact with Anthony and he was a pleasure to deal with, the communication was very prompt and professional so we had a great feeling from the start which was awesome as it was one huge tick on our to do list. 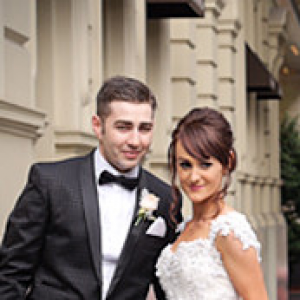 On our Wedding Day we had Anthony and Ket whom were amazing and very accommodating to anything we asked of them, they both also worked great with our Photographer and it all run very smoothly. When our preview was ready Charles got in contact with us and he was fantastic! We had some health scares in between the editing period which caused some delay and he was very understanding the whole time which meant a lot to us as we were going through a very difficult time. We also heard from Faz during the editing and again another great guy to deal with. During the viewing of our preview it was hard not to shed lots and lots of tears as the team at Video Boutique had captured so much of what we were after and it brought so many beautiful memories back. We watched it over and over and I still have the same reaction with so much emotion as the footage is simply perfect! When family and friends watched the footage they had so many positive things to say too and were very impressed with the quality! We will certainly continue to recommend you guys to our family and friends, keep up the fantastic job that you all do capturing such special memories so beautifully! 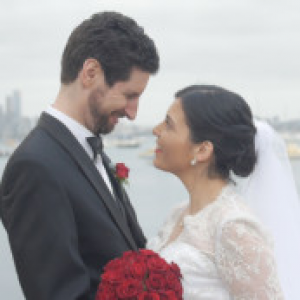 If you are looking for a professional team that you can trust with your Wedding Videography and that has a fantastic group of people then you must meet up with Video Boutique and judge for yourself, you won’t be disappointed! On behalf of Denis and I, we would like to say to your team a HUGE thank you!!! We have had so many queries (well mainly me), and you guys have not only answered them but you have also actioned on them immediately, which is extremely important especially when your planning a wedding. The communication has been great! 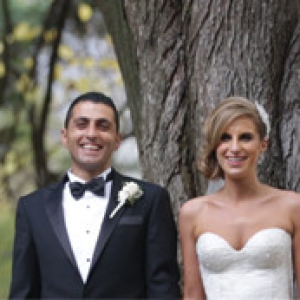 Faz and Anthony, you were both terrific on the day and made a huge contribution to our wonderful day!! We just watched the wedding video and the live video and we LOVED it!! It has turned out absolutely perfect and we would highly recommend Video Boutique to all our family and friends!! All I can say about the highlight video is WOW! You guys done such a wonderful job on it. We both loved it from the first moment we saw it and we still love it (even after having watched it over 50 times). To Anthony and the team, I can’t say enough about how happy we were with you all. Being a bride and having 100 things to action at once is not easy. Having to deal with you all was SO easy! Nothing was too hard. Anthony, you read my mind before I even spoke, that says a lot about you and the company. On the day of our wedding you not only made us all laugh and have fun, you were there for every moment that was so important to both David and I…. You didn’t miss a thing! Thank you for creating an amazing memory to show all our family, friends and one day our children! Keep up the GREAT work! 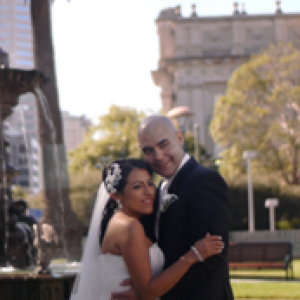 Thank you to Anthony and the team at VideoBoutique for producing such a beautiful video of our wedding day. Anthony worked seamlessly with our bridal party and family to naturally capture so many special moments for us – we are so pleased with the final product!